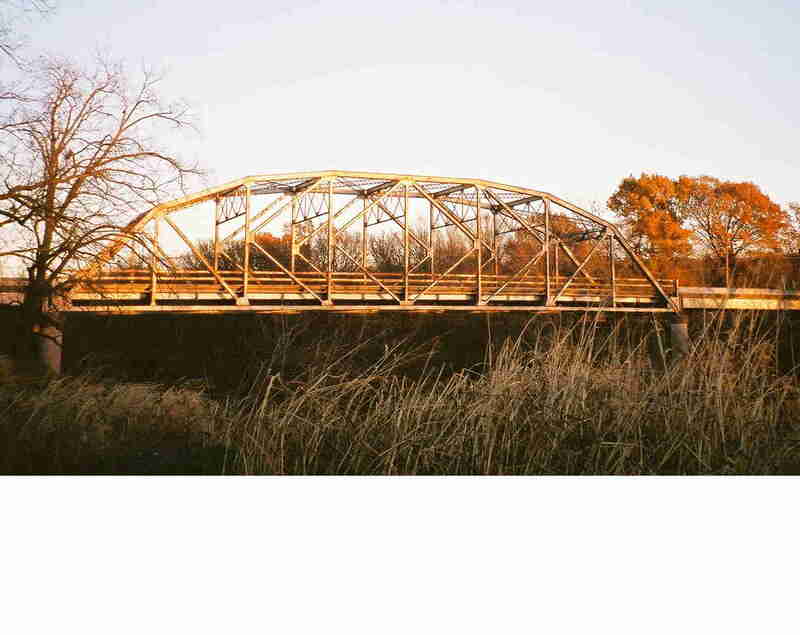 This 160' K-truss bridge carries OK 18 across Salt creek south of Fairfax. This is the last bridge across salt creek before it dumps into the Arkansas River. 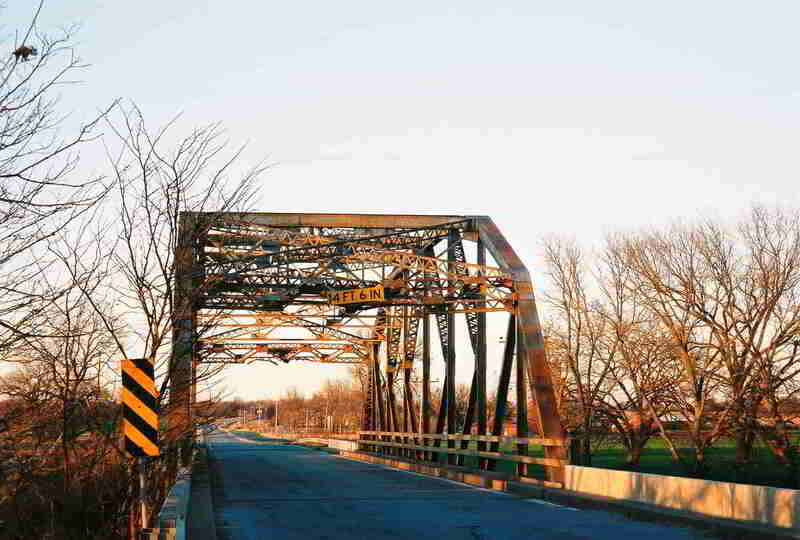 The bridge is located in Osage County. Although the 'fence' guards have been replaced, the portals have not. As you can see, they are pretty beat up. This bridge features a 25' roadway and wide curbs. It was built in 1940 by F. D. Ford. 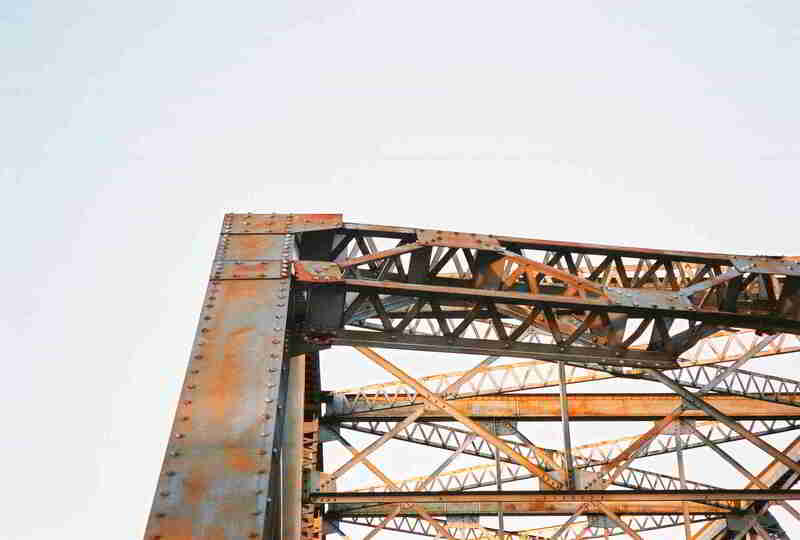 Below, We see the bridge caught in the evening sun. The 8-panel, 160' K-truss was one of the few pure K-truss designs that the OSHC used. The other is the rare 240' 12 panel design. The rest are just modified Parker trusses. Our final picture will showcase some of the injuries that this bridge has suffered from trucks too tall for its portals. Here, the gusset plate has broken along the rivet holes after being tugged on by the lower portal strut.